Comprised of a cross-section of law enforcement investigators, child protective services, medical providers, therapeutic professionals, victim support professionals, the probation department, the district attorney’s office, and other human services agencies, the CAC’s Multi-Disciplinary Team maintains a well-coordinated, effective approach to child abuse investigation and prosecution, and service provision to families and individuals affected by child abuse. Five people are seeking a position on the Oswego City School District Board of Education. Voters will go to the polls on May 20. Submitting petitions and indicating their intention to seek a seat on the Oswego City School District Board of Education are: Thomas Dehm, John Dunsmoor, Brian Haessig, Michael McLaughlin and Samuel Tripp. The third annual SUNY Oswego “On My Own Time” exhibition of faculty and staff artistic talent will feature a free public reception at 5 p.m. May 9, in Penfield Library’s Lake Effect Cafe. The exhibition, which features up to three original visual-media works per non-professional artist, will run through May 30 at the library. With the month of May on the doorstep at Oswego Speedway, and the first green flag of the season set for Saturday, Oswego Speedway’s current track records are on the line with time trials set for both the ISMA Supermodifieds and the Pathfinder Bank Small Block Supers this weekend. 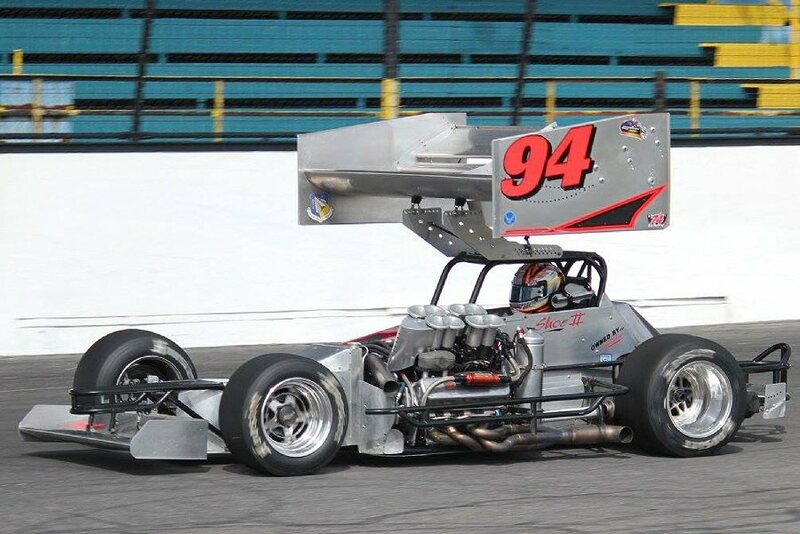 With cool temperatures in the forecast, track conditions could be ideal for record speeds in both divisions on Saturday afternoon when time trials take to the Speedway at 5 p.m. The Rotary clubs of Fulton have joined the United Way of Greater Oswego County and the Literacy Coalition of Oswego County in their annual Children’s Book Drive. The books will be distributed to children during the Fulton Memorial Day Parade and the Oswego Independence Day Parade. The Oswego Environmental Club was extremely successful in conducting a massive clean up during the Oswego City School District Earth Week Clean Up project. More than a ton of garbage was collected. 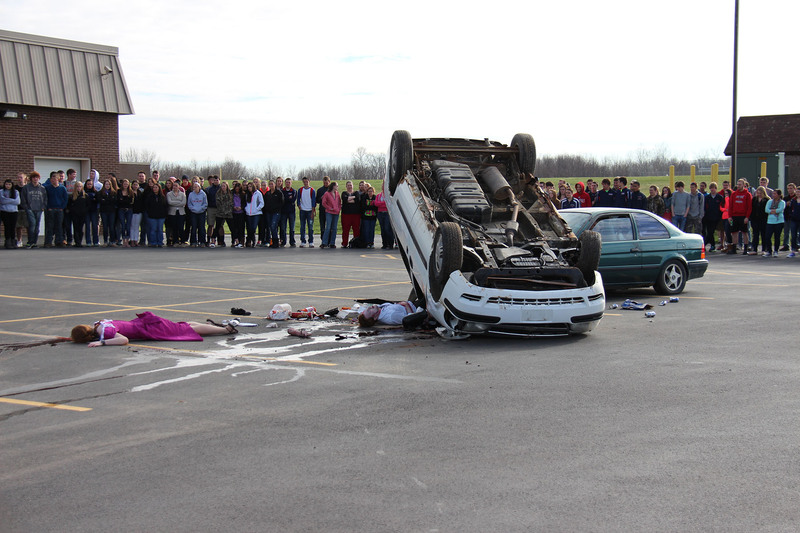 The Mock DWI program, done in cooperation with many agencies and offices in Oswego County, is held every other year at the school and timed to be just prior to the prom. The accident scenario’s timing was intentional and served as a dramatic reminder of what can happen when a person chooses to either get behind the wheel of a car after drinking, or chooses to ride in a car when the driver has been drinking. On May 17 from 2 – 4 p.m., State Street UMC, 357 State St., will hold a reception of celebration at the church site. We have been designated as an historical site by both New York State and federal. State Street had its beginnings in 1809 and have shared a rich and interesting history. The theme for the month was “Mental Health Awareness and Support.” ROC chose this topic because it is often an “overlooked but extremely crucial component to personal health and well being (and) we wanted to showcase the groups and organizations that were at the forefront in this area,” said Brandon Morey, ROC co-chair.